Activity remains elevated. A small lava overflow has started from the NE crater, accompanied by relatively strong tremor and explosion signals visible on the seismic signal. It seems that activity has shifted a bit from effusive to explosive. The tremor signal has shown an increase today and includes very powerful explosion signals. On the other hand, lava overflows from the NE vent have decreased during the past days. Tremor and explosion signals have increased in strength. Magma levels inside the conduit of the NE vent remain very high, shown by frequent small overspills. Tremor is elevated and mixed with small to moderate explosion signals. Strombolian explosions in turn occur as well, but are comparably weak (in contrast to the elevated phase of activity in early Jan). The lava flow is still weakly active, but has decreased considerably in length again. Tremor remains high, suggesting that this phase of increased activity is far from over. 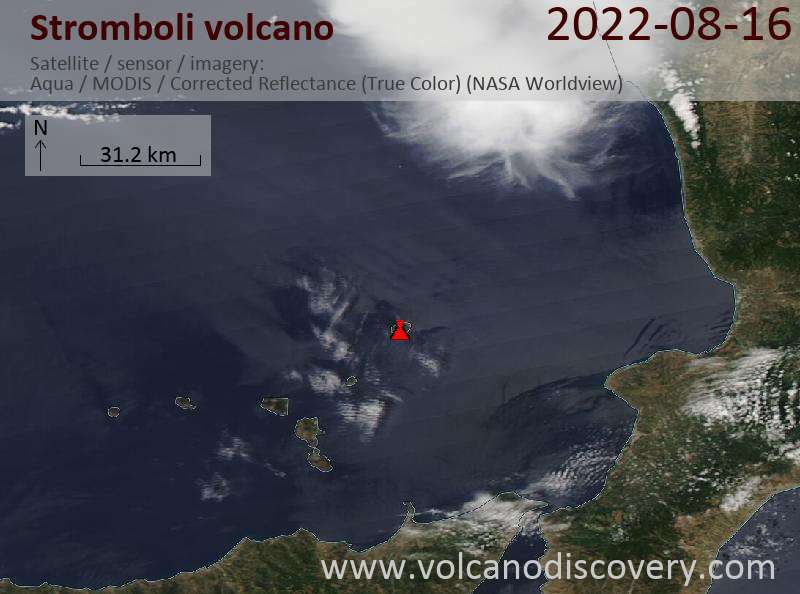 A new lava flow has started from the NE crater and is descending the Sciara del Fuoco. The activity is accompanied by continuous spattering from the northern hornito and strong tremor. Volcanic tremor has increased during the past 24 hours, but is back to lower values at the moment. All in all, activity levels is elevated, and the magma column inside the conduit is standing high. No significant changes in activity and no new lava flows have occurred. The tremor signal fluctuates between low to medium and high levels. Explosion signals are generally relatively weak. After its brief surge in activity 2 days ago, the volcano has calmed down and not produced new overflows. A new lava flow has started to descend the Sciara del Fuoco. Judging from webcam images, it has probably reached about 500 m elevation, but seems to be relatively well alimented. The seismic signal signal has increased and probably shows both increased tremor and continuous rockfalls on the Sciara del Fuoco. Activity has increased significantly, judging from visible and seismic data. Small overflows of lava are again occurring from the NE crater and tremor is at comparably high levels. After the brief surge of activity during last week, the volcano has calmed down again to average levels. Activity remains characterized by the magma column standing very high inside the craters. Small lava overflows and strong explosions can be seen on the webcams. The lava overflows have been active on and off and currently stopped. The explosion signals have become weaker, but tremor seems relatively strong. 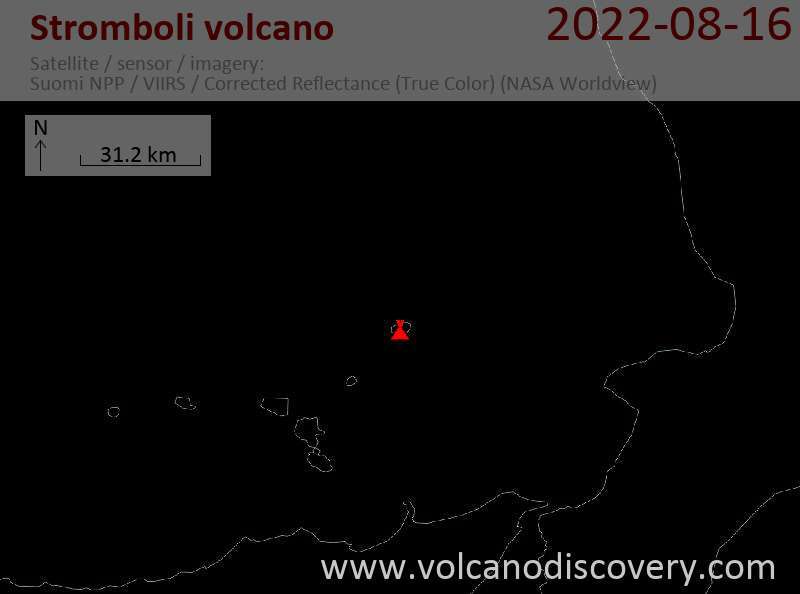 Overall, the volcano remains in a state of elevated activity. Lava continues to overflow from the NE crater, which also sometimes produces quite strong explosions. The volcano remains in a state of elevated activity with the magma column literally overflowing the crater rim. Lava flows are active on the upper slopes of the NE crater. Tremor and explosion signals are sometimes reaching medium-high levels. Lava overflows continue to be active on the upper outer slope of the NE crater. The lava overflows from the NE crater increased since yesterday and are now occupying a large portion of the upper outer slope of the cone. There are 2 separate branches visible. Activity remains elevated. Explosion signals are strong and there are small lava overflows from the NE crater. Activity has increased: a new lava overflow from the NE rim of the NE crater has started. Tremor and explosion signals are again quite strong, judging from the current seismic signal. Tremor has remained at generally low to medium levels, while explosion signals have gained strength recently. The volcano has returned to low to medium levels of activity. Explosions have become significantly smaller.